Kartik was asked about his plans for Valentine's Day. 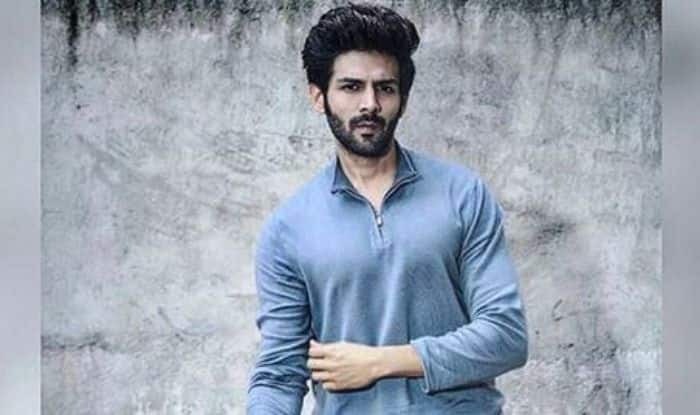 Bollywood actor Kartik Aaryan might be a favourite among the ladies, but it seems the Pyaar Ka Punchnama star does not have time for them. In a recent interview for a magazine, on whose cover he is featured, he spoke about a number of things, especially about relationships. When asked about his plans for Valentine’s Day, Kartik said that he is in a committed relationship with his work and fans. Dressed all in red as he posed for the cover of the February issue of Exhibit Magazine, Kartik, who looked dapper, spoke about what he would be doing in the next few days and how he is enjoying it all. “I’ll be shooting for Pati Patni Aur Woh and will be in the middle of Luka Chuppi promotions. Honestly, as of now, I’m into a committed relationship with my work and fans. No one else is in my life. I’m happy and I’m enjoying,” IANS quoted him as saying. Kartik is not a star kid, but he has built a fan following with youth entertainers like Pyaar Ka Punchnama and Sonu Ke Titu ki Sweety, and right now, for him, it is all about balancing his work and personal life. “My next film Luka Chuppi is up for release. Apart from that, I have signed three more films and they are about to go on floors now, one by one. I’m happy for all these things happening in my life. I’m trying to balance between professional and personal life. And yes, I have also moved into my new house with my parents here and so I am in a happy space,” he added.